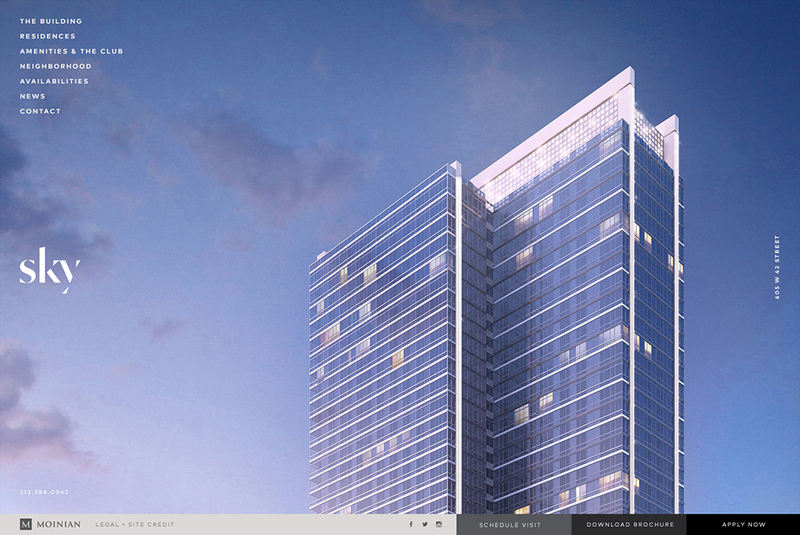 The Moinian Group sought a website for the highly anticipated residential tower, SKY, that would set it apart from other buildings. 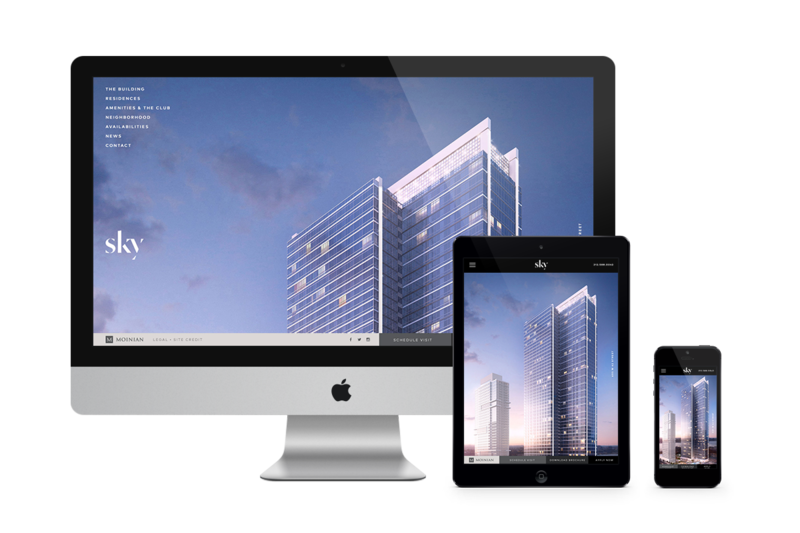 The site features sleek visuals and crisp design, resonating with the developer’s target demographic of young professionals. 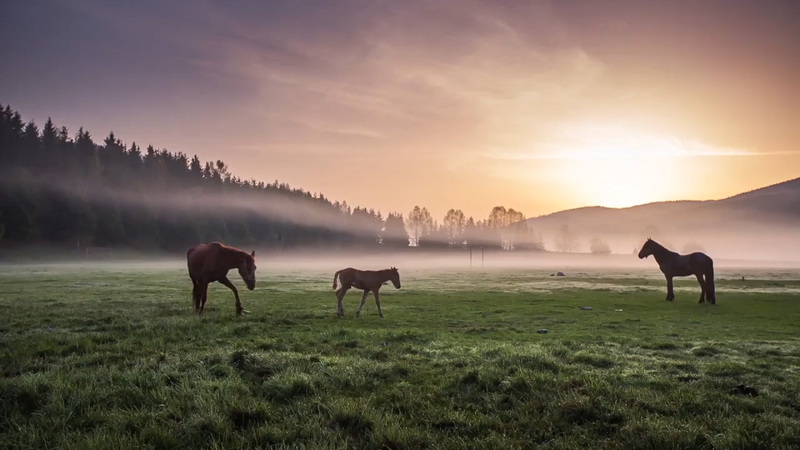 Once the building was complete, King & Partners created a series of films that tell the story of the SKY lifestyle. 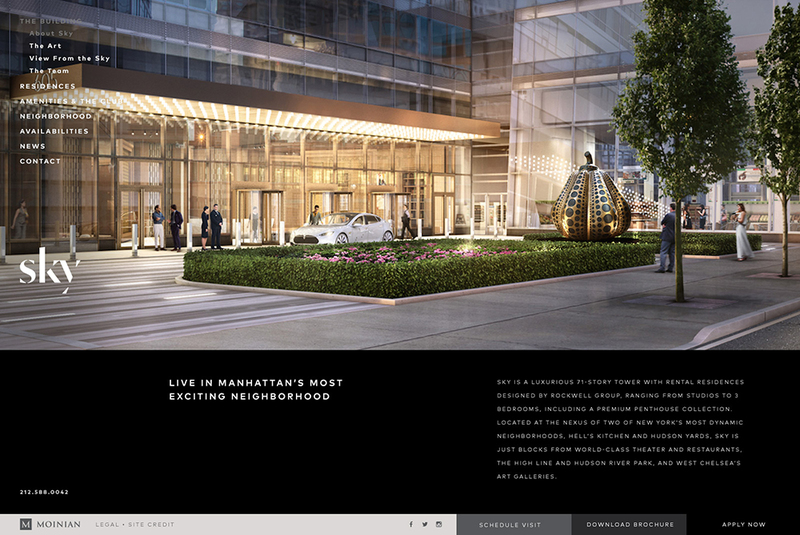 From the moment the site visitor lands on the homepage, they are immersed in the building architecture and amenities. The page pans up the facade of the tower, conveying incredible scale. 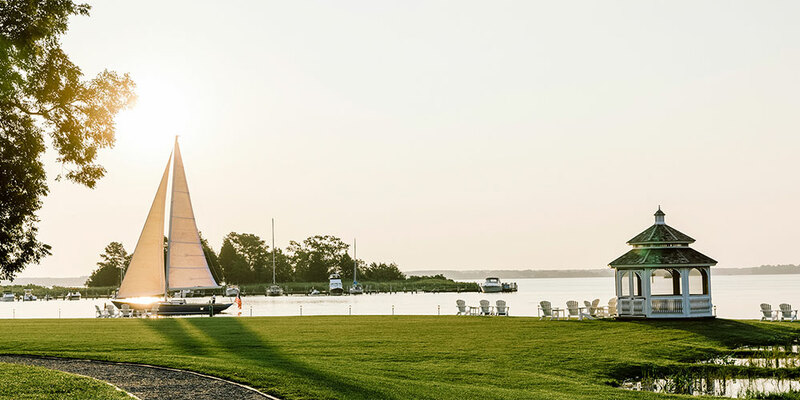 A footer throughout the site lets potential residents schedule a visit, download the brochure or begin the digital application process with one click. Stunning, long-scrolling pages reveal the interiors and highlights the SKY art collection, featuring works created by some of the world’s most lauded contemporary artists. 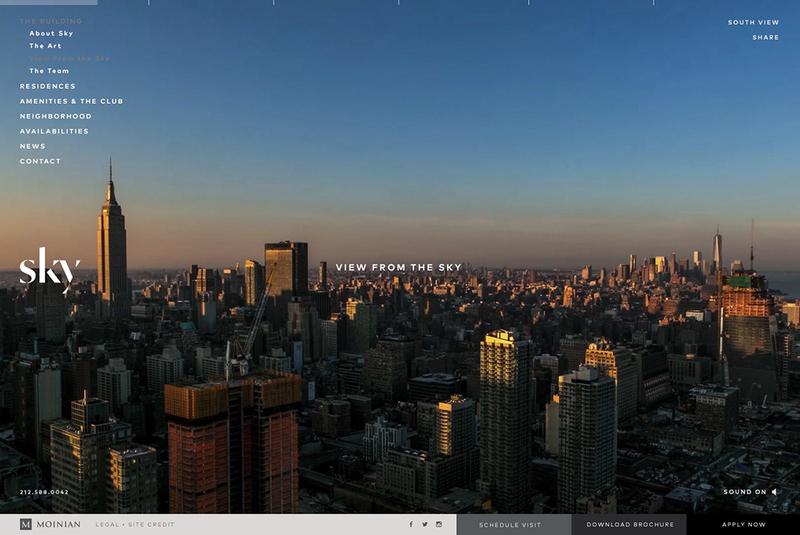 SKY’s iconic views are highlighted in an evocative time-lapse film showing the glittering New York City skyline, bustling streets and expansive Hudson River. 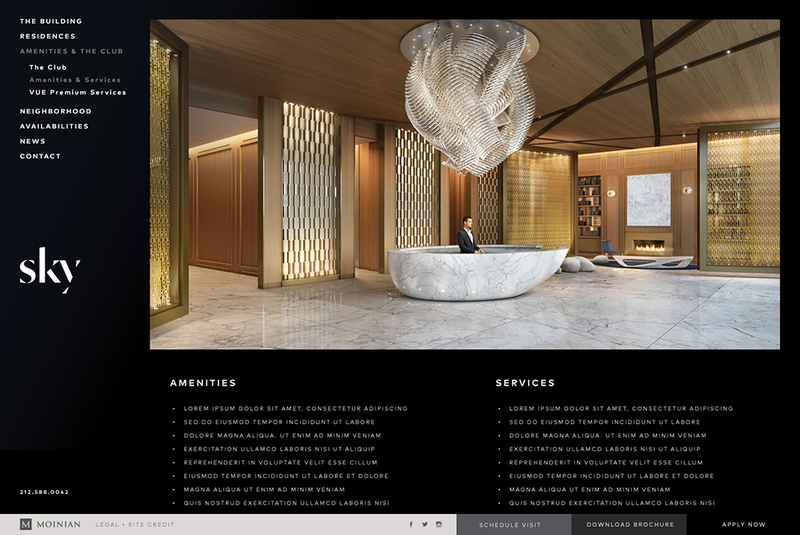 The robust amenities program at SKY is unlike any other rental building in New York, from a skydeck with two zero-edge pools to an art library to a 70,000 sq foot fitness club designed by Rockwell Group. 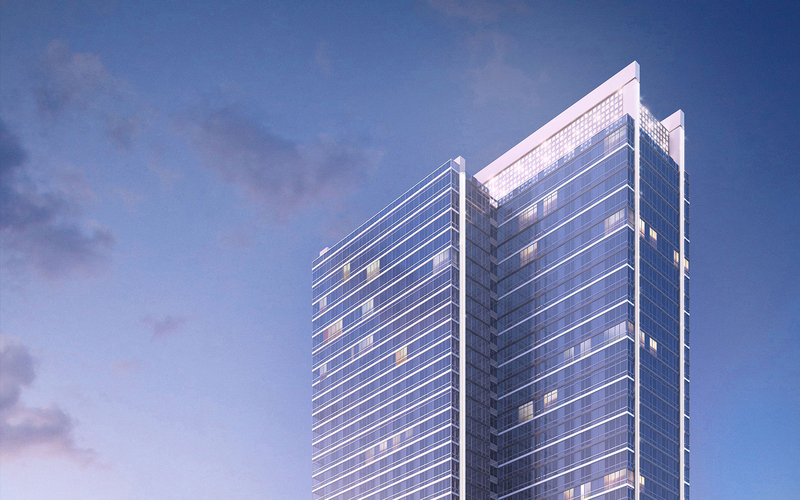 We wanted to show that SKY is the perfect place to live, play and work. 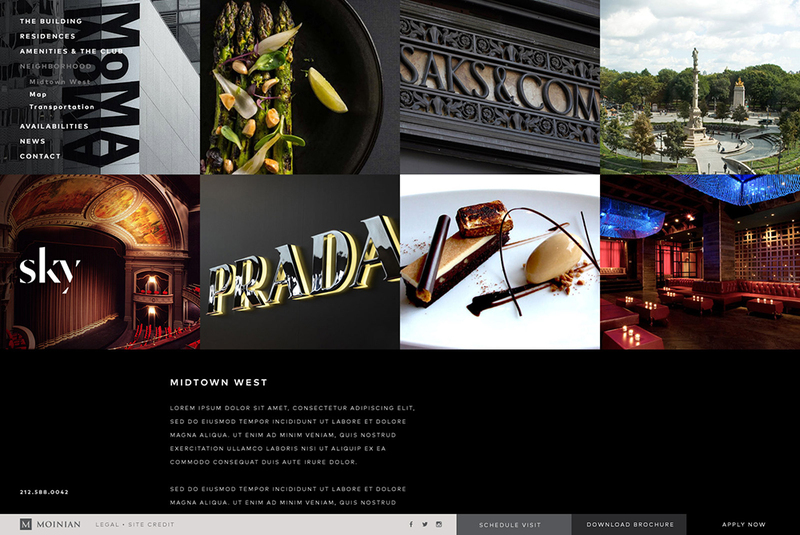 We built out a custom map highlighting nightlife, entertainment, dining, shopping, and community spaces in the area. The SKY Instagram account posts fun, beautiful scenes from around the building. 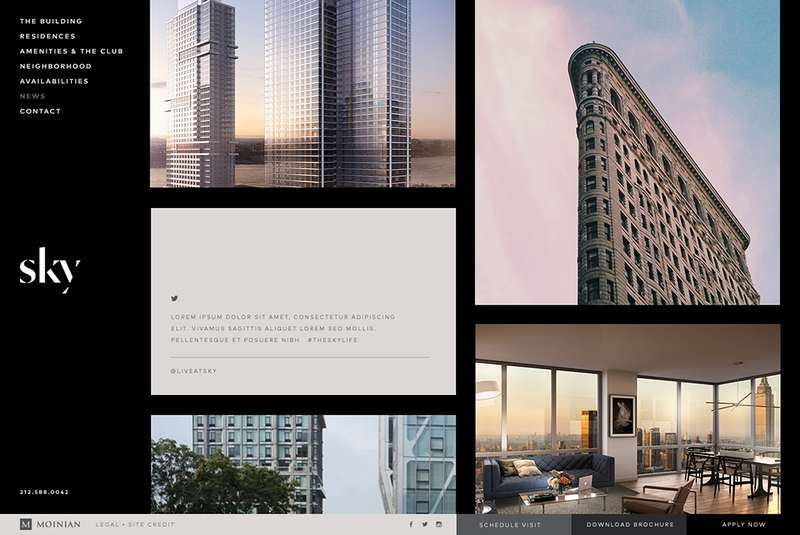 We built out the site CMS so the content manager can curate and publish Instagram posts to the website, giving potential tenants a closer look at day to day life.